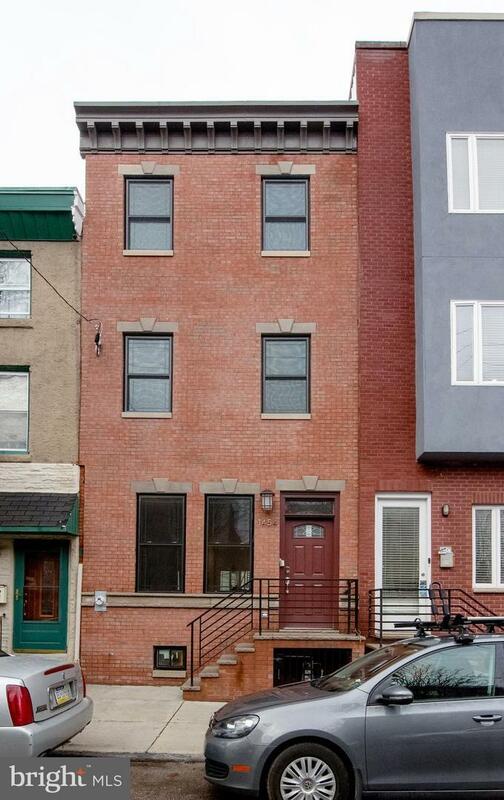 Welcome to 1454 E Columbia Avenue, located on a great block in desirable Fishtown. 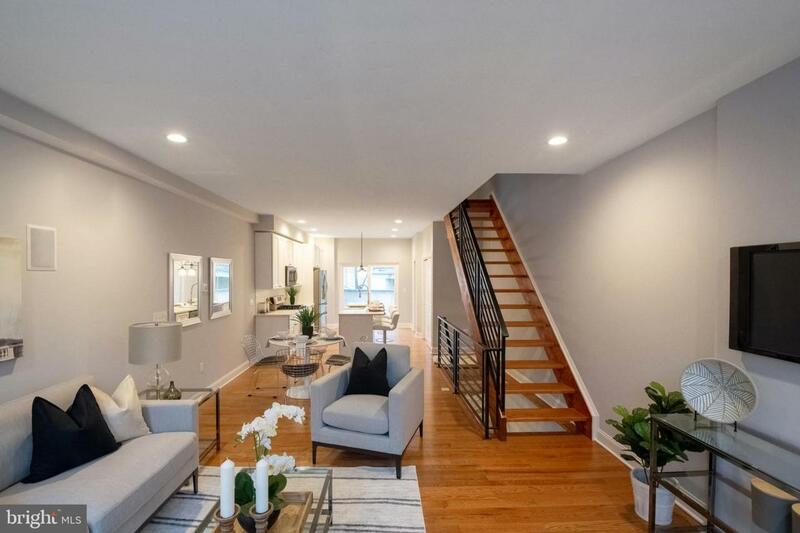 This spacious, newly built row house with a modern take on a classic Philadelphia facade, offers 3 bedrooms, an office, 2.5 bathrooms, finished basement, large patio and great roof deck with Center City views. Enter the home into an open living/dining/kitchen level featuring large front windows and rear patio sliders providing excellent natural light. Solid Canadian oak floors run throughout the home creating a great feeling of flow and amplified space on every level, along with Low E energy efficient argon windows bringing in plenty of daylight on every floor. A focal point of the first floor is a floating wood and steel staircase leading to the 2nd floor. The kitchen is a highlight of the home featuring the timeless style of white, solid wood, Shaker design cabinets (with pantry), quartz countertops, a large island with wainscoting, and Energy Star stainless steel appliances. Adjacent to the kitchen is a powder room and coat closet. A sliding glass door opens up the kitchen by providing more light and access to a large back patio, convenient for outdoor grilling, al fresco dining, and a flower or herb garden. Downstairs you will find a finished basement area great for storage, fitness room, or playroom. The second floor features two well-sized and well-closeted bedrooms, an attractive hall bath with marble tile and frameless glass tub/shower combination, and a conveniently placed laundry closet. Up the skylight-lit stairs to the 3rd floor you will find a pair of French doors leading to a great office or reading space, possibly our favorite room in the house. The owner's suite features a spacious bedroom with lofted ceiling, a walk-in closet, and a generous owners bathroom with large frameless glass and tile shower, and double vanities. Accessible through the 3rd-floor study, the tour of the house culminates at the top of a dramatic spiral staircase to a large fiberglass rooftop with 360' views, including Center City. The deck is wired for sound and has a gas line for grilling. The house is wired for data and sound and has a 2 zone energy efficient HVAC system. 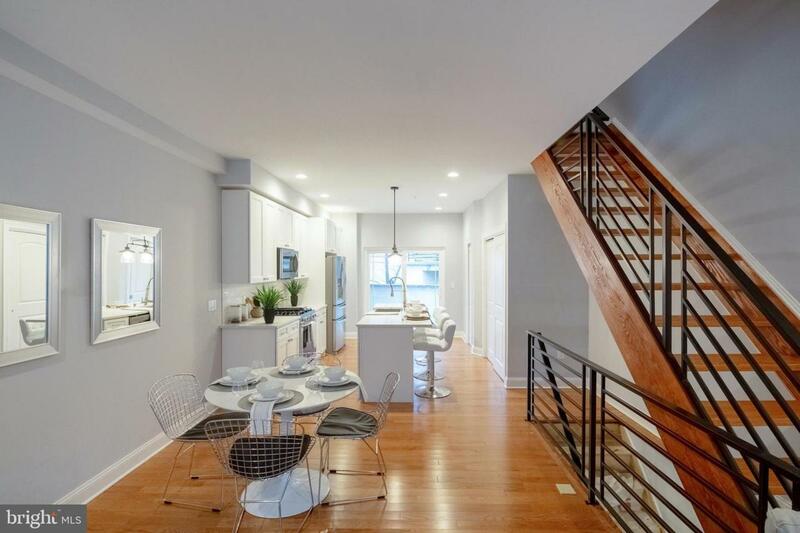 1454 E Columbia captures the character and charm of Fishtown with a modern aesthetic and all the conveniences of row house living. 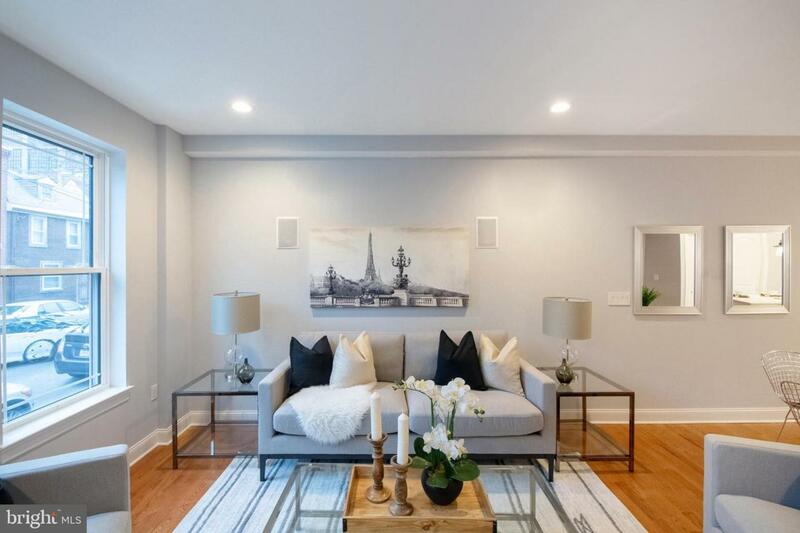 The exceptional location is across the street from Palmer Park and possibly the best bagel shop in Philly, and just a few blocks from the best of Fishtown spots such as Suraya, Wm. Mulherins, and La Colombe. 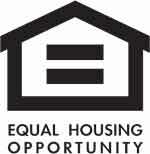 Seller is offering 1 year prepaid parking, located in a lot across from Palmer Park (up to $2,400). This is a property you don't want to miss out on.